Stanford’s housing draw, in which students are assigned an on-campus residence based on a ranking of housing preferences, stands as a significant source of uncertainty for students hoping to attain on-campus housing for the upcoming academic quarter. The process has even rendered some unlucky students “homeless” without on-campus housing. But students who qualify for medical draw are able to apply for early assignment before the regular draw begins. The medical draw gives eligible students a priority that ensures assignment to housing that meets their medical needs. Students with special housing needs due to a disability or medical condition file a Disability/Medical Accommodation Request Form from the Office of Accessible Education (OAE) for particular housing requests. According to OAE, 5.6 percent of undergraduate and graduate students received disability-related housing accommodations in the 2016-2017 school year. According to Wyatt Pontius ’20, the process by which OAE determines whether students qualify for medical draw is very rigorous. Pontius, who has acetabular dysplasia – a condition that causes instability of the hip joint – submitted official medical records documenting his disability, the treatment he has undergone for it, and a letter from his orthopedist describing the accommodations Pontius would need. “I think people don’t realize how much official documentation you have to actually provide,” Pontius said. Kyra Hoolihan ’20, who is eligible for the medical draw because of her cystic fibrosis, agreed that the OAE thoroughly vets students’ requests. She said that her primary cystic fibrosis physician has to write and sign a letter on her behalf, and must re-submit written documentation of Hoolihan’s condition annually. Pontius said that his Suites housing significantly benefits his daily life. As an engineering major, most of Pontius’ classes are located in the Engineering Quad on West Campus. He said his residence’s proximity to the Engineering Quad is a major advantage. Similarly, Hoolihan says the housing she received via medical draw is invaluable to preserving her health. Because Hoolihan’s medical condition causes her to be much more susceptible to illness, she lives in a single in the apartment-style Mirrielees complex to reduce the risk of germ contagion from a roommate. But some students, by drawing into housing with one group member who qualifies for the medical draw, can take advantage of the benefits the medical draw offers without having a qualifying medical need themselves. Because the medical draw option alleviates a significant amount of stress typically associated with regular draw and often gives eligible students more desirable accommodations, like private rooms or kitchens, joining a group with a “med draw” student is an enticing option. Pontius expressed his concern with this specific policy. Recently, Stanford housing officials revised the maximum number for all draw groups from six students to four students. Some students consider this policy allowing medical draw group “piggybacking” questionable. But more disreputable action — for example, misrepresenting or forging a medical condition for the sake of gaining a housing advantage — could yield disciplinary consequences for students. Pontius said he knows of at least one student who has misrepresented a condition so as to enter the medical draw. The Daily asked OAE if there have been suspicions raised concerning students exaggerating or fabricating medical problems to qualify for medical draw. Adams responded that any questions or concerns with a student’s medical documentation will be followed up with the student, and sometimes their medical provider. While some students have maneuvered around medical draw policies for their personal gain, overall, qualifying students report that the process has succeeded in fulfilling its fundamental mission: supporting the health of students during their time at Stanford. Contact Alex Tsai at aotsai ‘at’ stanford.edu. Alex Tsai ’21 is a desk editor for The Daily’s University beat. 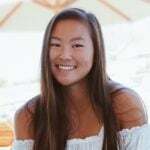 She was born and raised in Hong Kong and moved to La Jolla, CA for high school. Alex is a member of the varsity lacrosse team and is interested in computer science. She is also developing the Daily mobile app. Contact her at aotsai 'at' stanford.edu.